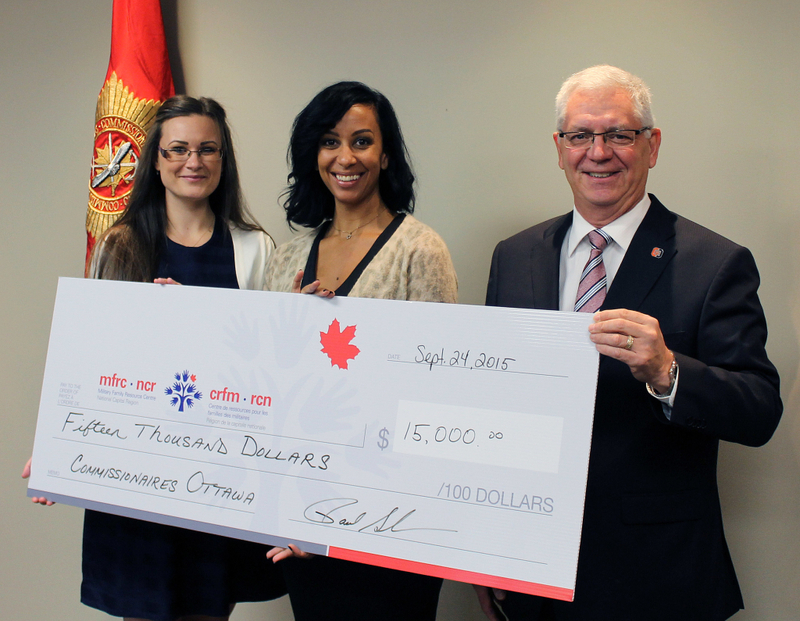 In September 2015, a $15,000 donation was presented by Commissionaires Ottawa to the Military Family Resource Centre – National Capital Region (MFRC – NCR). LtoR Byrnne Doxsee, Executive Assistant, MFRC – NCR, Francesca D’Ambrosio, Partnerships & Major Gifts, MFRC – NCR and Paul Guindon, CEO, Commissionaires Ottawa. 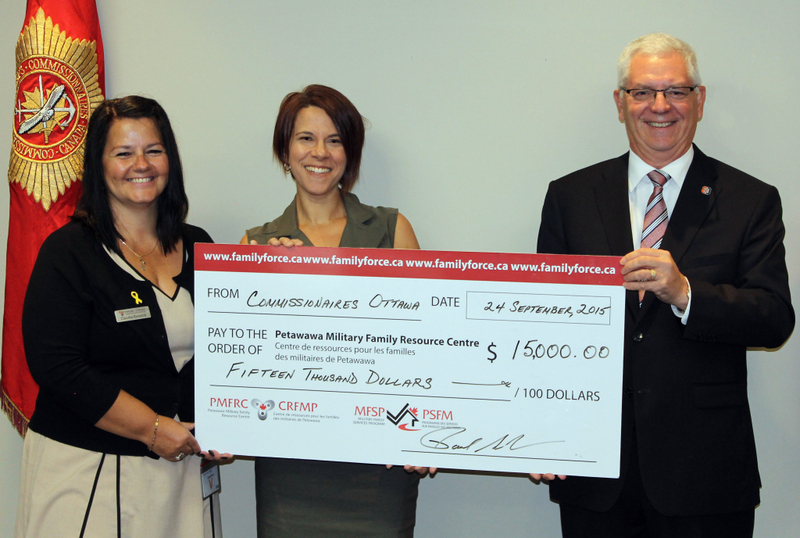 In September 2015, a $15,000 donation was presented by Commissionaires Ottawa to the Petawawa Military Family Resource Centre (PMFRC). LtoR: Claudia Beswick, Executive Director, PMFRC, Julie Hollinger, Marketing & Communications Coordinator, PMFRC and Paul Guindon, CEO, Commissionaires Ottawa.